One of the things that makes a wedding look complete is flowers, they are the most beautiful things that appreciated by everyone who comes to the wedding. Either, it is the wedding decoration or the wedding bouquet that you hold as the bride. Thus, if you are the soon-to-be bride, it is important for you to think about the flowers really thoughtfully and accordingly. There are so many colors of flowers that available throughout the year. Even though all of them are beautiful, you need to choose the right color tone for your wedding. You don’t want to choose the wrong color that makes your wedding look a little bit too much and not fit with your wedding theme and wedding motif. 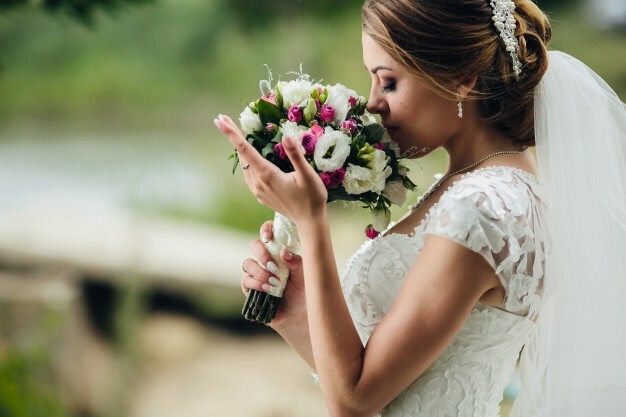 Tell the Singapore florist or your wedding florist about these details on your wedding (the theme and the motif) and they will likely tell you the appropriate flowers that you can choose. Since the wedding is a special occasion for lovers or a couple, it is good for you if you choose a kind of romantic flower. There should be a complimentary romantic flower bouquet in a day when the body, heart, and soul of a couple join together. And for the most romantic flower, Roses and Tulips can be your best choice since Roses represent the deep love and Tulips represent the perfect love. Baby Breath also can be your best choice in here with the symbolization of undying love and forever love in this flower. Now you can choose the wedding flower based on your favorite style or the style you want. Tell the Singapore florist for the style that you want. This way, you won’t have any misconception about the flower arrangement of your wedding bouquet and your wedding decoration that arranged by the florist in case it doesn’t suit your preferred style.